The cover below was designed by the one and only Jon Marro. It was recorded and filmed at the legendary Village Recorder in W. LA in coordination with Shiva Baum and Amy Dewhurst. Get ready for a blast of love directly to the heart. Will keep you posted on it's release! I've decided to explore a new platform in which artists seek direct support from their audience to realize their creative vision. 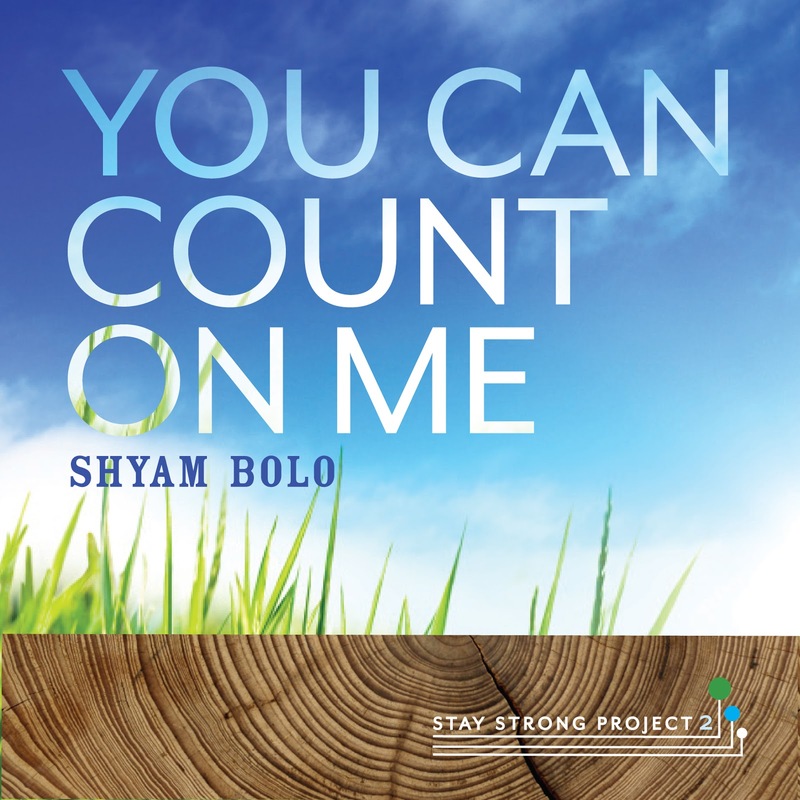 Therefore, I am reaching out to you, my community, for support in recording my next CD. 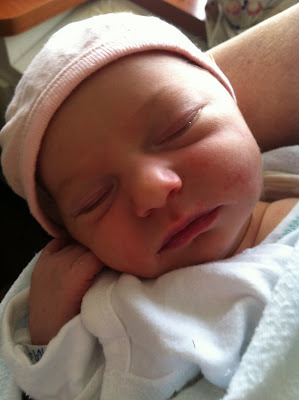 Please have a look at my fund raising campaign, here is the link... http://igg.me/p/202661?a=1017001. Thank you for your consideration and please spread the word to others who you feel would be interested in contributing. About a year and a half ago, I met an extraordinary man named Bart Marshall. Since then, Bart has been a transformational teacher for me. I was thrilled that Bart agreed to offer a weekend program together at beautiful Omega Institute in Rhinebeck, NY. 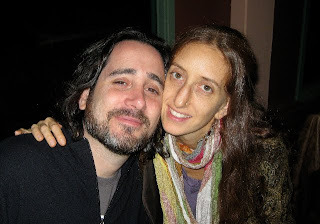 Bart, being a master of Jnana Yoga (Self Inquiry) and I a Bhakti Yoga practitioner, we thought it would be wonderful to combine the two and therefore created a program entitled... Jnana & Bhakti Yoga Immersion: Self Inquiry, Surrender & Awakening! What's even better is that the program is around the corner and happening over Memorial Day Weekend, May 25th to 28th! I cordially invite you to join us for I know it's going to be both a joyous and enlightening weekend. Dive deeply into the confluence of two great yogic rivers—jnana and bhakti, self-realization and devotional love—through the practice of kirtan and satsang. This 3-day jnana and bhakti yoga intensive offers lively discussions, music, chanting, self-inquiry, and a joyous immersion into heart-centered yogic practices. 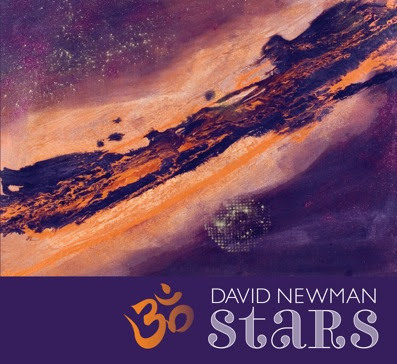 Explore the path to a direct experience of truth with two seasoned practitioners and teachers, Bart Marshall and David Newman (Durga Das). 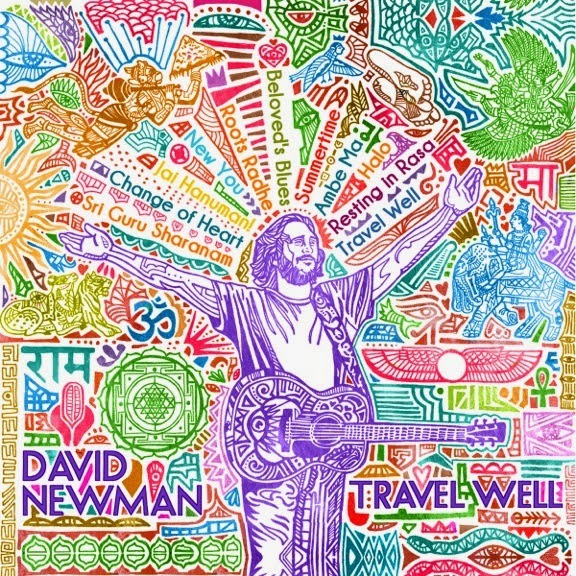 Newman, an internationally known chant artist, combines mantra, yogic teachings, adventurous musicality, and poetic intimacy in song as an embodiment of bhakti. Marshall, an open-hearted spiritual teacher, offers his forthright, unflinching guidance as we explore self-inquiry, surrender ourselves into practice, and awaken to a direct realization of truth. This intensive offers ample time for personal interaction with both David and Bart and is suitable for new practitioners as well as seasoned travelers of the path. Bart Marshall is a spiritual teacher and author of the acclaimed translation of ancient spiritual texts, The Perennial Way: New English Versions of Yoga Sutras, Dhammapada, Heart Sutra, Ashtavakra Gita, Faith Mind Sutra, and Tao Te Ching. 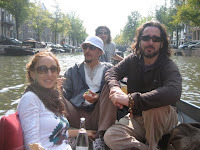 He is also writer and producer of the feature documentary, Mister Rose. It's here... the first video from Stars entitled 'Thinking of You'... a video Valentine for all of you! http://youtu.be/nJQXFBcSO5M. Pass it along, and let someone know you're thinking of them this Valentine's day. Enjoy! Love Peace & Freedom at March for Justice Rally in DC, Jan. 17th! There will be a bus going from Philadelphia (Conshohocken area). 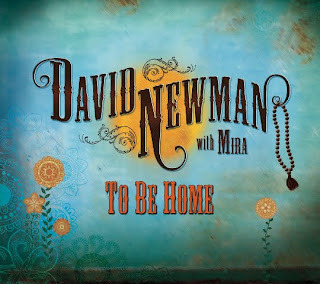 If you are interested in catching a ride, drop Mira a line at mira@davidnewmanmusic.com. 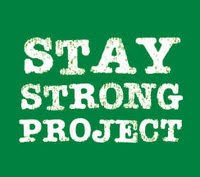 The Stay Strong Project website is now up... http://www.staystrongproject.org. 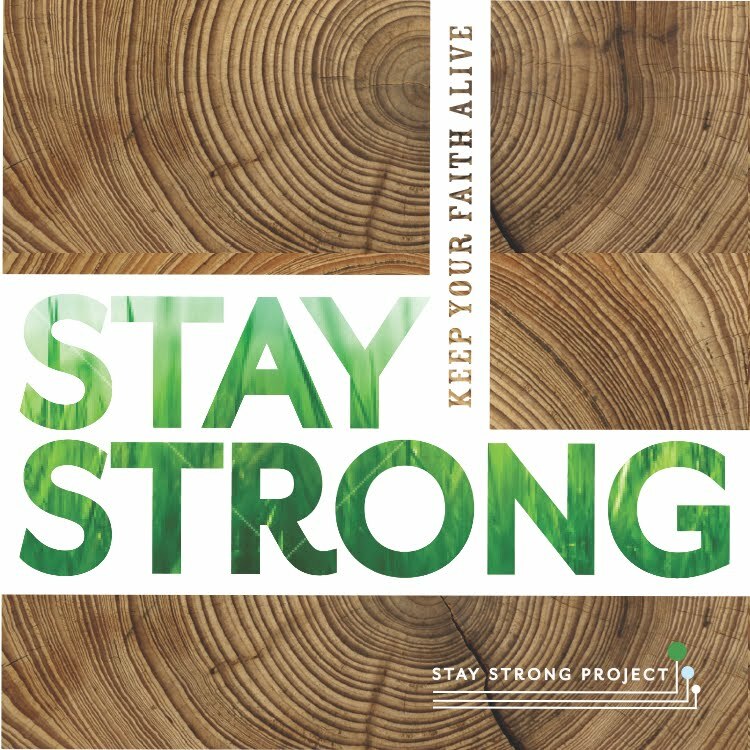 Check it out and have a listen to a sample of 'Stay Strong' with over 30 Chant and Yoga luminaries lending their voices on this charity offering. The full song and video will be available in early February, 2011. Hope your summer has started off with joy... it certainly has with heat here in Philadelphia! We just finished a series of CD Release Kirtans culminating with a wonderful evening in the Philadelphia area last Saturday! This weekend we're off to Woodstock and Saratoga Springs, NY followed by a visit to Kripalu and New London, CT. Meanwhile, I'd like to share a few happenings on the Bhakti Trail with all of you!! 2. Just Added: Concert at The Tin Angel, August 19th! 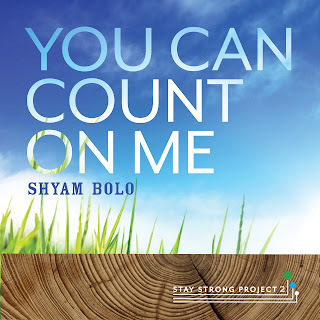 For a while now I've wanted to offer an intimate concert of my devotional songs. Well, that will take place at The Tin Angel, one of Philadelphia's premier acoustic cafes on Thursday, August 19th. I will have my band, the Beloveds joining me for this. The evening will feature songs from five of my CDs, some new compositions, and will be interlaced with chanting. 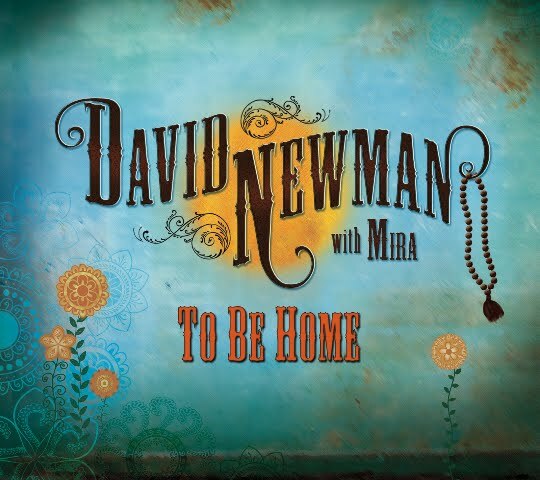 An Evening with David Newman and the Beloveds! Join Recording Artist and Sacred Singer Songwriter David Newman for an evening of poignant songs of mystical beauty celebrating the path of love. David’s private sessions assist you in going deeper into the devotional, meditative, and spiritual aspects of life. David’s gift is his ability to respond intuitively to your desire to deepen both the practice and expression of Love as an integrated way of life. 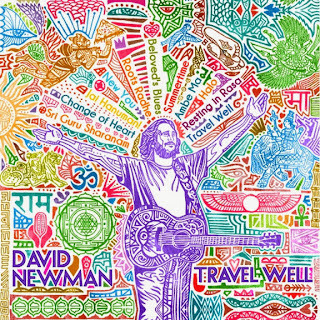 David translates and personalizes ancient Yogic teachings as practical principles for spiritual transformation and to inspire greater joy, creativity and purpose in your daily life. The sessions, though intensive, are deeply nurturing and supportive with the highest consideration given to your individual needs. Our July and August Schedule include stops in New London, CT, Nashville, TN, Tampa, FL, New Orleans, LA, Dayton, OH, Buffalo, NY, Toronto, ON, Keene, NH, North Kingstown, RI, Kirtan College at Yogaville in Virginia, and Bhaktifest at Joshua Tree, CA! Check out our new VLOG and enjoy some of our moments caught on video 'On The Bhakti Trail'. TO BE HOME - RELEASED TODAY! My New CD - To Be Home - was just officially released today! To Be Home is a rich collection of healing Kirtan chants and passionate songs of devotion in a lush acoustic roots musical landscape. On To Be Home, David is joined by Mira, Grammy® Award winning producer Trina Shoemaker (Sheryl Crow, Emmylou Harris), legendary drummer Jerry Marotta (Peter Gabriel, Paul McCartney), Guitarists Philippo Franchini and Rama Bala, Keyboardist John McDowell (Sting, Santana), tabla and esraj master Benjy Wertheimer, and renowned bansuri flutist Steve Gorn. To Be Home is a genre transcending tapestry of spirited sound poetry that weaves elements of the past, present, east and west into a mystical and magical elixir for the heart. Amazon is featuring the new CD - TO BE HOME! You can stream full songs of the entire CD at this link below. Enjoy!!! Mira and I just returned from a magical visit to the Sivananda Ashram in the Bahamas. We were part of an Interfaith Devotional Music Festival called ‘On the Wings of Ecstacy’. It included some truly gifted musical and devotional offerings such as chanting with Russill Paul and Reema Datta, Gospel with Ken Whiteley, Sufi Music with Davod Azad and Kaballah Kirtan with Yofiya. It was simply wonderful…as was the weather and ocean! And so life goes on… with lots of good things happening this spring. In April, Mira and I will take some quiet time with just a few dates in Ohio, Pittsburgh, Virginia and a couple of local kirtans at the end of the month in the Philadelphia area. I’ve included theses dates below. 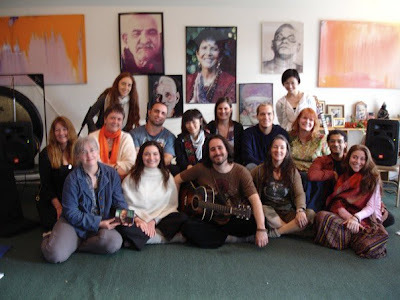 May begins with Kirtan College (2nd to 7th) and Spring Ecstatic Chant (7th to 9th) at Omega Institute in Rhinebeck, NY. Here are those links to read more! ~All CD Release dates are all on the events page of my website… and there probably will be a few more added! That’s all for now… sending much love!!! Kirtan College at Omega, May 2nd to 7th! 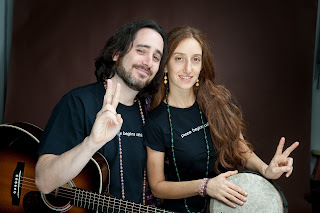 • Mira and I will be offering Kirtan College at Omega Institute in Rhinebeck, NY, May 2nd - 7th!! Join us at Omega Institute in the beautiful Hudson Valley for an unforgettable five day Kirtan and Bhakti Yoga immersion. Kirtan College will support you in making Kirtan and Bhakti Yoga a more significant part of your daily practice and the means to gain greater confidence in sharing Kirtan with others. It will be an unforgettable week of joyful learning and exchange of heart! 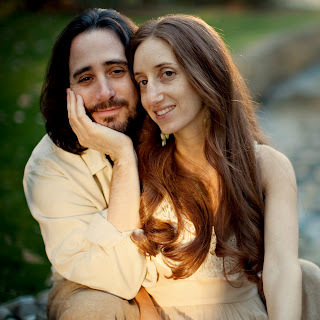 • Omega's Spring Ecstatic Chant Weekend will take place May 7th - 9th following Kirtan College. In addition to Mira and I, it will feature Donna De Lory, Jai Uttal, Shyam Das, Gaura Vani, Sruti Ram and Ishwari. 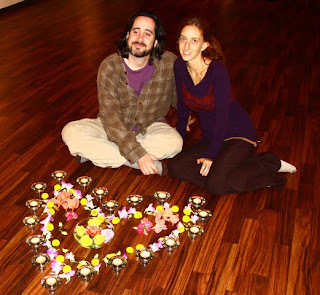 Attendees of Kirtan College will receive a 25% discount off tuition for Spring Ecstatic Chant! Here's a video of the Pearl S. Buck Elementary School Choir's 2009 version of my song..
Love, Peace and Freedom. Enjoy! Wishing you all blessed Holidays and New Year!! Please enjoy this holiday offering as my gift to you. 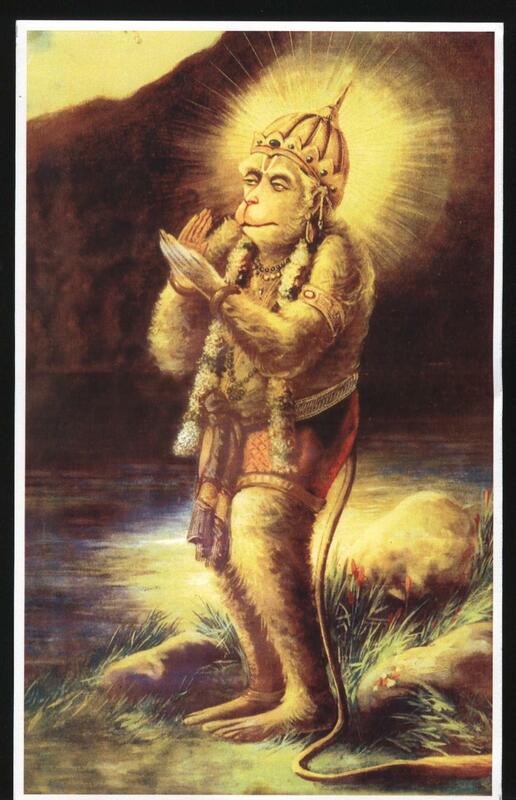 It is a piece called Sweet Ram/Hanuman Chalisa. Mira, Rama and I recorded this live demo on Hanuman Jayanti, April 9th, 2009. 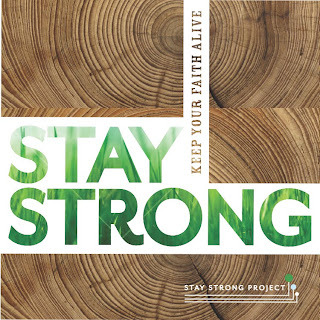 Go to the link below to download it for free! It is my way of saying thank you for your support and for sharing with me the gifts of your heart. 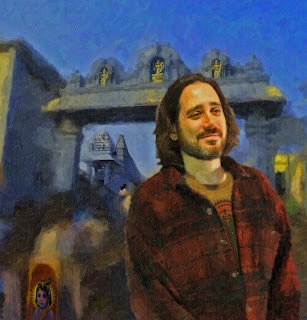 Welcome to the 10th edition of "On The Bhakti Trail - SEVA Edition." 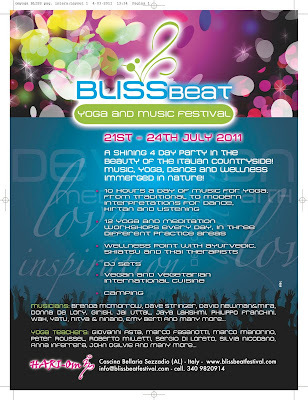 Please enjoy this month’s theme – Yoga for Young People! 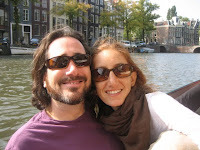 David and Mira are currently enjoying their Japan Tour. They arrive back in Los Angeles on November 9th and will be offering events in Santa Barbara on November 13th and Los Angeles on November 14th & 15th. 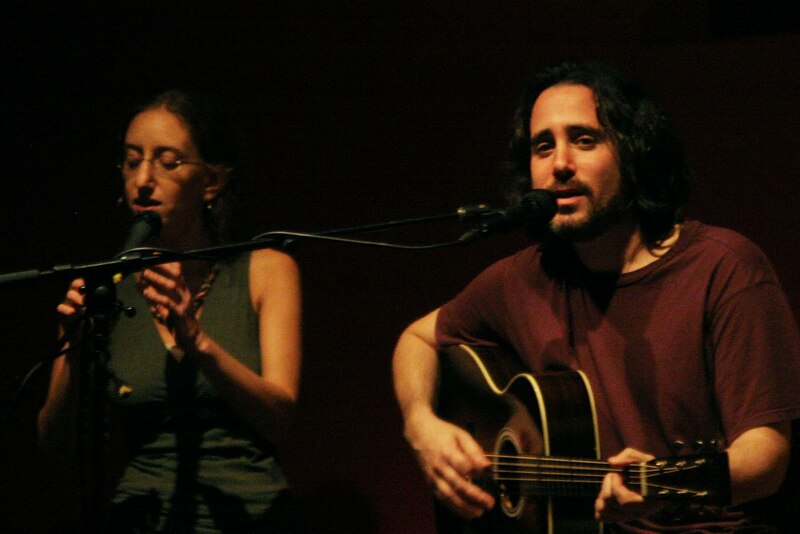 In the first half of December please join David, Mira and Band in NYC at the Integral Yoga Institute on December 12th and in Philadelphia at Yoga On Main on December 19th & 20th. During the second half of November, David will record his next CD with Grammy award winning producer, Trina Shoemaker. They will record in Woodstock, NY at Dreamland Studio with many amazing musicians including Mira, Philippo Franchini, Jerry Marotta, Jordan Jancz, Rama Bala, John Mcdowell, Steve Gorn, Benjy Wertheimer, Wynne Paris among others! Look for the new release in May 2010 on Nutone Music. 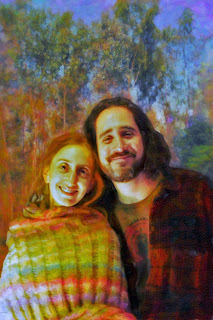 The 3rd annual Kirtan College with David and Mira will be held at Kashi Ashram in Sebastian, Florida, February 21st to 28th, 2010. This is an exciting training program for those looking to gain the understanding, confidence, and tools to develop a regular chanting practice, utilize the healing application of chanting in daily life and cultivate the musical skills to accompany, compose and lead Kirtan in a group. Donate $ 25 or more to receive a Yoga Mind Body Fitness DVD for Children ... and the Yoga Health Foundation will match your donation and send a complementary DVD to a school or teacher of your choice. Your donation will enable us to bring Yoga-based Mind Body Fitness programs to schools for FREE, reaching thousands of children and inspire them to live a healthy lifestyle. Yoga Journal - When presented in a child's language, yoga can help counter the stress experienced by young people living in a hurry-up world. A ‘How To’ article on teaching kids Pranayama. Yoga Kids: Silly to Calm - A fun video you can share with kids age 3-6. Urban youths find health and hope through yoga practice and lifestyle. Former gang members and foster home kids find a way to deal with emotions. A message from Lori Lite, “We have developed a line of children’s books, CDs, and curriculums designed to help children manage anxiety, stress, and anger while promoting self-esteem and peaceful sleep. We are the first to introduce research-based, stress management techniques in this unique storytelling format. Psychologists, child life care specialists, teachers, counselors, parents; military families, yoga fans, the Autism community and most importantly children have embraced us. Yoga is an effective tool to address trauma in youth. We all know young people communicate differently than adults. Depending on their age, kids use less words, more words, louder words, quieter words or no words at all. These differences in communication styles are often exaggerated or reconfigured in the face of trauma with a young person becoming more withdrawn, anxious, fatigued, tense or numb. When this occurs, yoga and movement are one of the beautiful tools that can help open them up to their joyful selves again. The combination of play, safety, calmness, creativity and community building, work wonders on getting youth in touch with themselves without “talking”. They are able to experience the world being safe again while simultaneously building their own strength and wisdom. And ironically after all this play and stress release, the kids can’t help but express their experiences in many, many words. Yoga Ed. Develops and produces health/wellness programs, trainings and products for teacher, parents, children and health professional that improve academic, physical fitness, emotional intelligence and stress management. For everyone with a regular yoga practice who wants to share yoga skills with children in school, home, studio, or therapeutic settings. Learn to design yoga-based classes and sessions for kids that progressively develop physical, mental, emotional, and social skills along with health. Discover how to ground yoga in play while exploring themes such as breathing, alignment, focus, flexibility, kindness, teamwork, resilience, finesse, and so much more. You will be guided in creating lesson plans that transform yoga practice into playgrounds of self-discovery. I met Cheri at Bhakti Fest this September and immediately fell in love with her. She shared stories of how the yogic tools she taught inspired the kids to make life affirming choices. After speaking with her for only two minutes I was in tears (of inspiration)! For the past 17 years Cheri has been teaching Yoga to youth and is currently supporting the girls at Homegirl Café with free yoga classes. To donate and learn more about Homegirl Services visit Cheri’s site and click on the ‘heart chakra’. 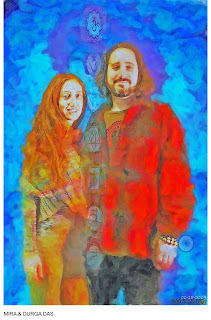 www.peaceyogagallery.com You can also give your support to Cheri with financial donations as well as new yoga mats and props.